Firstly peel the upper layer of carrots and wash it properly. Then grate it with the help of food processor or greater. Now put 1 tbsp of oil in pressure cooker and put grated carrot and little bit of water in it and pressure cook it for 3- 5 min. After that take out the cooked carrot into a wok, add 1 tbsp of ghee and mix it well on medium flame. Then add 1 cup of milk and let it cook till it gets little thick, at this time u need to add sugar let it dissolve properly. When this mixture gets Little thick add mawa in to it and cook for 5 min. 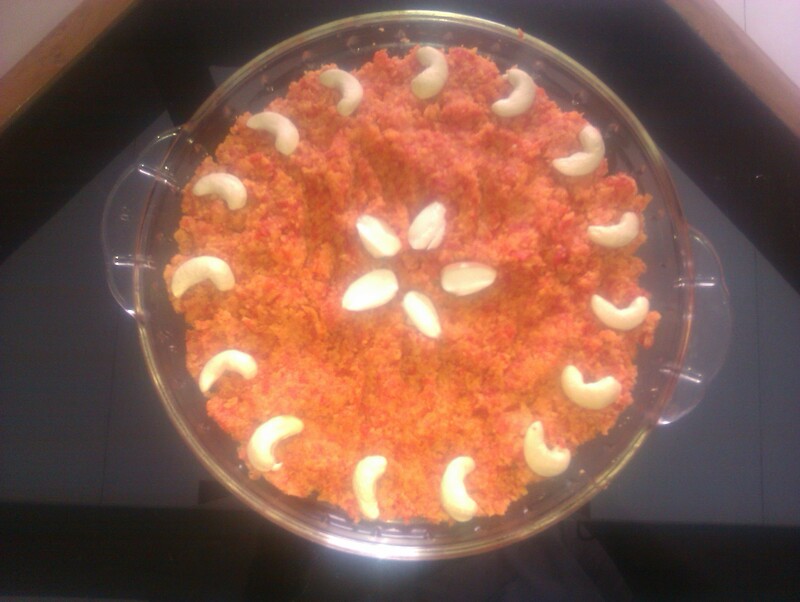 Add cardamom powder and garnish with chopped kaju and your halwa is ready to serve.